It’s been five years since Paul Scott kicked off the Small Cap Value Report on Stockopedia. 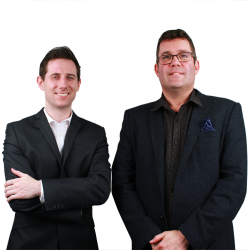 Recently he’s been joined by Graham Neary, and together they offer up a daily assessment of company news with the sort of quality and forensic detail that you just can’t find anywhere else. Ben: First of all, let’s talk about your investment style and how it has changed over time? Paul: Well I started out with a very much value-focused approach, just looking for pricing anomalies in small-caps. The beauty of the small cap space is that it’s an inefficient market. You get more pricing anomalies than you do with mid- and large-caps because far fewer people are looking at them and researching them. Like most people, my approach has changed over time and I’m gradually learning more as I go along. I also adapt my approach depending on whether it’s a bull market or a bear market. Given that we’ve been in a strong bull market in the last two or three years, it dawned on me that actually a value-based, low-P/E, high dividend yield approach really wasn’t working. In fact, it was often picking up bad companies that were value shares because something was going wrong for any number of reasons. It was the same with asset-backed situations, which are the other strand of value, where you’re looking for low P/E, high yield and high net tangible assets. In a bull market, people aren’t really interested in the net asset value of a company and whether it has got freeholds or not. They don’t care because they’re looking for growth companies. Ben: Graham, how about you, what’s your background and how would you describe your investment style and how it has changed? Paul, investing is awash with people declaring loudly how talented and successful they are. You tell us how fallible you are, but demonstrate your talent with your analysis. Which is remarkable. Graham "I was trying to take the risk out of the Magic Formula and I got a fantastic return doing that"
Thanks to Paul, Graham and Ben for a fascinating interview, some great points made by both Paul and Graham. Great read. Paul should write a book! I really enjoyed reading this .....thank you. Paul should write a book! Really excellent read, Paul I also applaud your transparency about your own 2008 crisis, not a lot of people would come forward about their losses. Good work. Also these SCVR's really have become a very valuable source for those wanting to learn as much as they can about fundamental analysis, certainly helped me protect capital along the way. Great article. More of this please and both of you, keep up the good work! Reading about how much Paul lost and how he came back has made me feel a lot better about the stupid gambles I made when I started dealing for myself last year. Have done much better this year, mainly due to Stockopedia advice and a bit more patience and re-sizing. Thanks for the link to the Boros interview, very illuminating when you hear the words Minervini and IQE almost in the same breath. You mentioned growth with a good dividend and you reported on Jarvis Securities JIM earlier this year I have had this company on my radar since early January but I somehow don’t feel comfortable with the figures, so keep walking away— this could also be influenced by my view of the markets as I know to my cost how quickly this type of company sees it’s profits disappear in a bear market. I would love to hear your view assume you applied a pessimistic eye over the company. If I recall correctly, a couple of yrs ago Paul stated he no longer invested in such companies. ; when I pick up from Paul's blog pointers like this I do heed them & steer clear. Needless to say it is up 87% this yr. I agree with Paul but perhaps you are confusing Jim with another company- Jim are a Stockbrokers and investment platform, fully regulated so if the regulator are doing their job and I know sometimes that is questionable, it is not likely that the company will go broke. Congratulations on this years profit of 87%. Paul mentioned his losses as well as his gains, which proves the point that it is one thing making a profit and another keeping it, for me this year hasn't been my best, but I would rather not make money than lose it. So I am into some reasonable profits but 80% liquid, my big problem at the moment is gold and related stock, currently down about 7%. The other interesting statistic is of all the shares i have sold this year I would have been £2000 the poorer if I had kept them. Hard game this investing business!! Enjoyed it very much, thank you both. Very interesting read thanks guys. On the subject of some of the "favourite" stocks been down recently (often on still relatively bullish results). Minervini observes that the stars of a bull market phase will often top out before the broader market. I wonder whether therefore this might be an early pointer to the potential correction, that seems to have been keeping people up at nights for a couple of years. It's a tough market to call now imho, with some things looking frothy whilst much of the market exposed to the UK economy already looks pretty bearish. Very interesting discussion. Paul, I am not sure how you managed to stay sane with all the winnings and subsequent losses!!! One way to make the discussions more focused would be to cover a different topic/area each time i.e. IPO's one month, using leverage a second month, maintaining portfolio value etc. I like the no-nonsense style of the Small Cap Value Report. I was looking for views on DP Poland and they blew away all the hype around the company i.e. share count up massively and the company doesn't seem to make progress when it reports results. The broker community is full of hype and pr spin so I find that the SCVR is a great antidote to that i.e. trying to call it like it is. My one recommendation is that the SCVR might proactively seek to identify robust stocks i.e. rather than just looking at newsflow every morning. A way to find good stocks might be filters or sector analysis etc. The trouble with the RNS newsflow system is that there is so much newsflow every morning it can be easy to miss good companies that report. Or perhaps just Stockopedia members need to identify the stocks and ask them to be written about. The interview was very very interesting, structured as it is. Also, the SVCR format is excellent, exactly as it is. Paul & Graham should write about what they are interested in & not be under any obligation to respond to reader requests, only those they find of interest. Absolutely nothing needs to change here. As someone who "cut my teeth" on the now defunct Motley Fool UK boards (especially 'Paulypilot's pub') that does really chime with me especially the last bolded (my bolding) sentence. There was a real community feel about the TMF boards and some of that I feel is replicated here but maybe there is a way to enrich that? I'm fairly new to Stocko so I don't really know if that fits with Ed's vision of the site, but I do think it is something worth thinking about. (Just for the record, many the denizens of the TMF board migrated to a new site Lemon Fool I haven't really spent much time there, but my initial impression was the focus was more on the social chat and that the expert investment discussions went elsewhere (particularly here) but that may not be an entirely fair assessment. Enjoyed this. I admire Paul's fortitude coming back from a £5 mill loss.